Bigger arms don’t come from thousands of bicep curls! This is contrary to the commonly accepted ‘bro science’ exchanged over the bench press I know. But to truly increase the size and strength of your arms you must first understand some basic lessons in human physiology and exercise science. So before you even think about setting foot into the weights room, understand the following research-backed tips. You’ll be far better equipped to fill the arms of any t-shirt once you do. Human physiology can get tricky. But when trying to increase the size of your arms you just need to understand one simple rule: Your arms are roughly two thirds tricep. This is the muscle at the back of your arms. Why our biceps get so much airtime when talking in the gym and column inches in magazines I don’t know. But in your quest for bigger arms it makes sense to train the majority of muscle mass in them. This isn’t to say you should avoid training biceps completely. But just make sure your triceps get the attention they deserve. It’s not rocket science, it’s just simple physiology. If you want bigger arms then you need to learn to move some iron. Yes, you won’t look pretty. Yes, your face will contort and repel any female within a 10-metre radius. But sports scientists from the Neuromuscular Research Centre at the University of Jyväskylä in Finland found that powerful muscle-building hormones — specifically human growth hormone and testosterone — are spiked during large, heavy, weight lifting sessions. Therefore for this reason alone, place less emphasis on the small and light exercises like tricep kickbacks and instead learn to love the heavy-compound nature of the close-grip bench press or pull ups. They are harder, but hormonally you’ll be better equipped to fill your t-shirt sleeves. Lifting a bar filled with iron to a personal best feels great. But — for whatever reason — lowering the weight doesn’t give you that same sense of achievement. Yet it’s the latter that a study conducted at the University of Florida, USA, found could help build the most muscle. This is because when dropping the weight you completely negate any eccentric muscle contraction. During a bicep curl this is the lowering phase of the movement where the bicep is in tension but lengthening. What all this means is lowering the weight with care is not only good for gym etiquette, but — backed by research — it’s also best for building bigger arms and filling your t-shirt too. #4. Train BIG, Eat BIGGER! This will sound odd to many, but you don’t build bigger arms in the gym. No you stimulate them. It’s in the kitchen afterwards that the repair and regrowth of the muscles occur. Basically, your time in the gym only provides the necessary stimulus to grow, it’s what you eat after that will determine if they do or not. 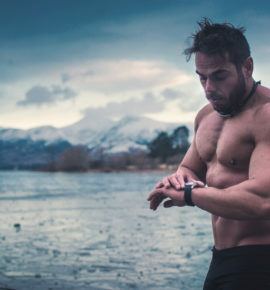 This is based on research from scientists at the School of Biomedical Sciences at Victoria University, Melbourne, Australia who found athletes experienced a greater degree of muscular hypertrophy — increase in muscle mass — when implementing efficient ‘nutrient timing’. 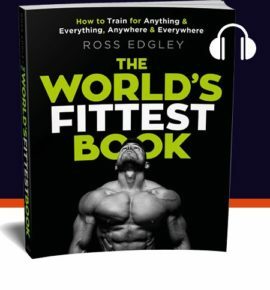 This is, “the strategic consumption of protein and carbohydrate after each workout” which they stated, “represents a simple but effective strategy that enhances the adaptations desired from training.” But for all the impressive words and nutritional science, all this means is after you’ve finished in the gym be sure grab a protein shake. Then in that shake fill it with around 20g to 30g of whey protein and 60g to 90g of carbohydrates to kick-start the repair and regrowth of the muscles. Simple! An idea echoed by research published in the Journal of Physiology and Journal of Sports Medicine and an idea that’s formed the backbone of many strength-based athletes diet for years. Implement all of the above, and bigger, newly-volumized arms become so much more achievable.